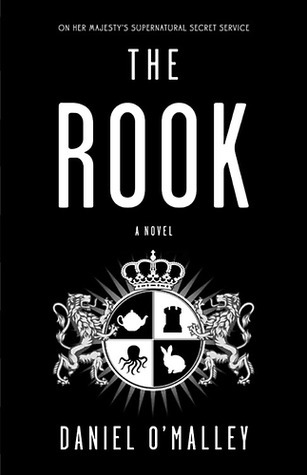 In the interests of full disclosure I received a free copy of ‘The Rook’ in a greeting bag at Genrecon Australia last year. Every attendee received a book, randomly, from a selection of books by panellists at the con. I got lucky. This is modern Urban Fantasy with a healthy sprinkling of absurdist humour. O’Malley gives us a protagonist as unaware of her world as we readers are, having woken up in a park, surrounded by gloved corpses, with no memory, and a letter in her pocket. The body you are wearing used to be mine…” And so we begin. The technique here is to have a narrative in which a series of letters from Myfanwy Thomas provide back-story and exposition, while we follow our amnesiac heroine (and newly made Myfanwy Thomas)as she discovers the strange world into which she has awoken. anifestations of the weird, the malevolent and the unusual to keep safe an unwitting British public. The hierarchy of The Checquey borrows heavily from the chessboard, and in this hierarchy Thomas is a Rook. She also discovers that the previous Rook Thomas has been betrayed, by a colleague, and so can trust no one. O’Malley does a great job of balancing the different strands of the story he tells: The becoming of the new Rook Thomas, the mystery of the betrayer, the conflict with The Checquey’s old enemy. He is also adept at introducing fresh concepts (a multi-bodied consciousness, a restless contortionist, crazed Belgian flesh-sculptors), while giving new life to hoary clichés (A vampire, an amnesiac, a dragon), and keeping everything from taking itself to seriously (with lashings of goo, prognosticating ducks and unintelligible Japanese bodyguards in tartan). It was certainly a page-turner. Despite it not being a great time for me to be reading at the moment the book kept drawing me back, and I became invested in the characters, particularly the two Myfanwies Thomas, who are well fleshed out and nuanced. The technique of having the letters was effective early, when they were short interludes – a page or so at most – but as the letters got longer (whole chapters) I felt they dragged down the pacing of the main narrative. This was especially true in the third act as the new Thomas was coming fully into her power and meeting high stakes, and the shift of gear to the old Thomas’ reminiscences was jarring. I also found at times the coincidence of the letters providing just the salient information at just the right moment was, while necessary, a strain on credulity. I can accept characters who can turn their skin to steel, or who can emit tear gas from their skin, but I struggled to understand why the new Thomas wouldn’t read everything in detail as soon as she could, rather than apparently choosing the letters fortuitously over the course of weeks. I do understand the need for it to be so, but it is perhaps a weakness of the structure that it was. I really liked the ending, the slight miscalculation of time-frame destroys so many well-laid plans, and if it does all come together a little too neatly (centuries of enmity were put aside a little too quickly, a little too easily) I was prepared to accept it because I like Rook Thomas and was hoping she would succeed. I was initially a bit sceptical of how the humour would be used, but O’Malley handled it quite well I thought: absurd without being stupid, off-beat without resorting to desperate wackiness. The fate of the duck was a particular highpoint (though I felt that that chapter should have come earlier, being that it was a long(ish) letter and I just wanted to get back to the main narrative where the new Thomas was imperilled). All said I enjoyed the book and it drew me in, I came to care about the main character and wanted to keep reading to see her succeed. What better measure of success for an author than to affect a reader so? I look forward to the rumoured sequel gestating away in O’Malley’s mind. He sure does have some interesting places to go.